How To Install A Lace Front Closure? Lace frontal closure is best known for having one of the most realistic looks among all types of wigs. As the name would imply, the lace that makes up the wig is located in the front, what that does is give the look of having a natural hairline. 1、They are the most versatile. Since the lace cap is underneath the wig, you can part the middle without revealing any of the underlying lace. 2、They are both extremely durable and breathable. 3、They are becoming increasingly affordable (whereas before they were mostly for the movie stars and on the higher end of pricing). A lace frontal completes the desired look of a sew-in by closing off the install, eliminating the need to blend with any left out. It is ear to ear with the lace size as the 13x4 inch. It's the "finishing piece" that completes a full head of weave. It is easy to install lace frontals for the customers who are using them every day. But for other new users, they don't have any experiences. For those who aren't too familiar with weave terms, we will get into every piece of the puzzle! 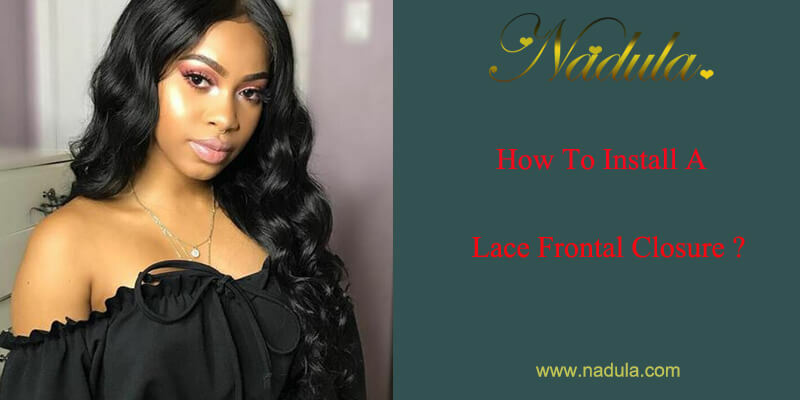 How to Install A Lace Frontal Closure? The reason for customization is simple, everyone's head is different! Most people prefer to customize their lace frontals because if not, it tends to look either "wiggy" or unnatural. The lace comes in either Swiss or French. Apart from customizing your lace frontal, usually means you're going to bleach the knots. Doing this prevents you from seeing the knots in your lace, so it appears more natural.Straight Lace Frontal Closure is easier to care than the curly lace closure. 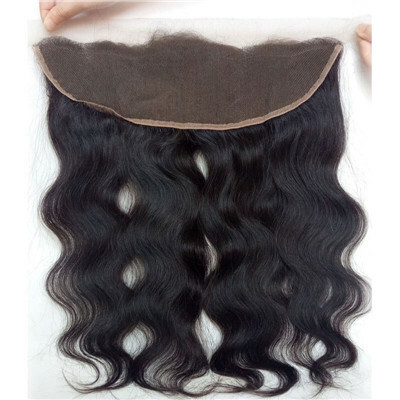 You can also do a silk-based frontal, which tends to be more costly, but you wouldn't need to bleach any knots. It all depends on personal preference! 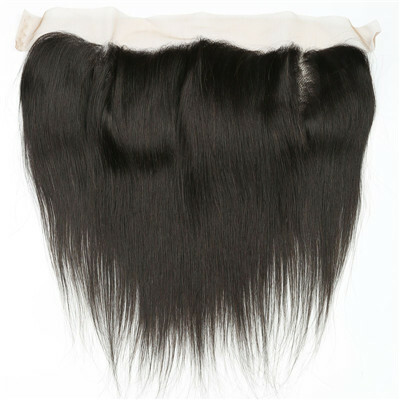 Lace frontals with baby hairs are the most common type of frontal you will see advertised. The baby hairs add to the illusion that the frontal is coming from the scalp. When dealing with frontals with baby hair, it's important to pay attention to when plucking the hairline. Otherwise, you'll be plucking the baby hairs and barely any hair from the hairline! Why pluck the hairline? The hairline of most lace frontals isn't natural. To make it appear natural, pluck some hairs into the hairline's shape. 1. Evenly spread glue across hairline where you intend the Lace Frontal to sit. 2. Wait 2-3 minutes for the glue to dry a little. 3. Place the lace frontal along the hairline, where you want it to sit with the baby hairs on the glue. 5. Cut alongside the netting to create a natural appearance. The main difference between wig cleaning has to do with the material, as opposed to the way the wig was built. So, when it comes to lace front, they are no more difficult to clean than other types. Since human hair wigs are more difficult to clean than synthetic, you'll have a harder time cleaning those, but that's because of the material and not the design. 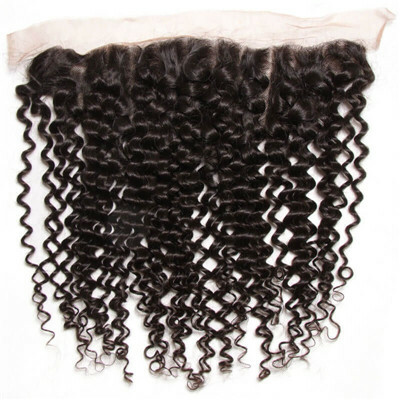 Even though they have dropped in price, curly lace frontal wigs are still considered an investment. As such, you want to make sure you take proper care of them! Our first suggestion is to keep the wig from sunlight, dust or excessive heat (the high temperature can damage the binding material). Also, you will want to keep it away from children and pets, whose playful fun might result in a damaged wig!